Is your business ready for new family-friendly employment laws taking effect in Jersey? Small businesses may not be ready for the extension of family-friendly employment laws taking effect in Jersey this month. The family-friendly rights, which include up to 26-weeks maternity leave (with six weeks at full pay), up to 26-weeks parental leave (with two weeks at full pay), adoption leave, and ante-natal class leave for fathers/ partners, were voted in by the States in March, but took effect 1 September. Despite the delay, some smaller businesses may not be ready for the changes, which also allow employees to request flexible working. Businesses with fewer than 10 employees make up 90% of undertakings in Jersey according to Labour Market figures from December 2017. Shelley Kendrick, Managing Director of Kendrick Rose, an executive recruitment specialist, said: “While larger firms have the time and resources to ensure they’re ready to comply with the new legislation, smaller businesses may still struggle. “Everybody want to support the family-friendly policies, but smaller businesses are not necessarily prepared for the costs and the staffing implications. It will take time for everyone to work out how to deal with the laws and embed them into working life in the Island. 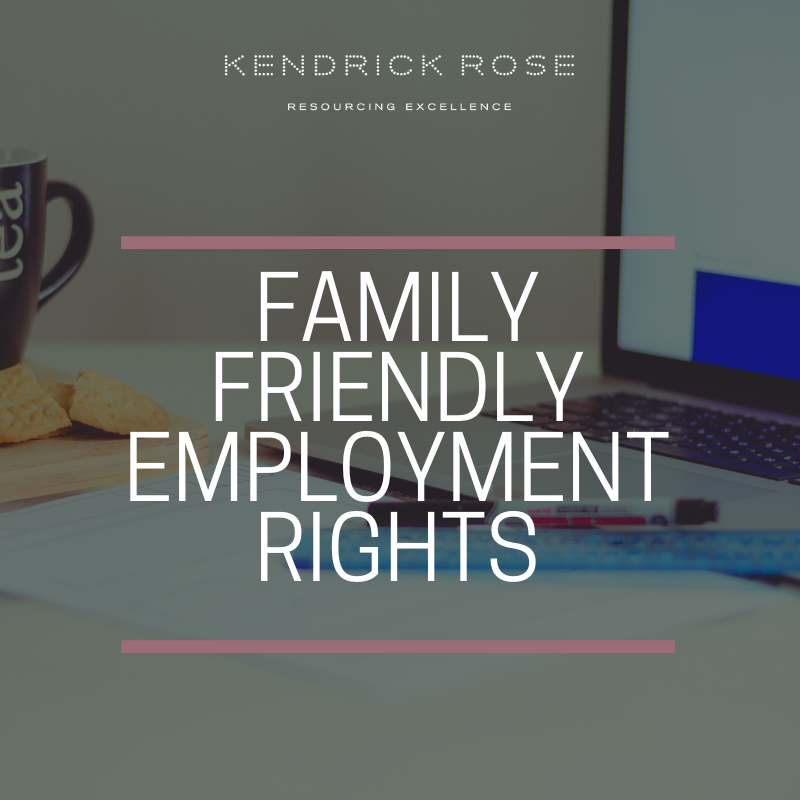 Kendrick Rose anticipates an increase in candidates seeking part time work as a result of the legislation, however, it could take time before candidates become fully aware of the Employment (Amendment of Law) (No.2) Jersey Regulations. Shelley said: “We expect to see an increase in the number of candidates looking for part time work over the next year as people become more aware of what employers will be obliged to offer, however, we’re not seeing any impact on candidates yet unless someone is in the position where they have young children or are thinking of starting a family. “Jersey is behind many parts of the world for flexible work, partly because we have a lot of SMEs (Small and Medium-sized Enterprises) who need the head count to function. Job sharing can solve this problem, however, for some businesses the cost of employing someone part time is nearly the same as employing someone full time because benefits such as health insurance are a fixed cost. According to the 2011 Census, just 9% of people in Jersey worked part time, comprising 3% of men, and 15% of women. On average, full time employees in Jersey work 39.2 hours a week, while part time employees work 18.4 hours a week. Figures from the latest Jersey Labour Market Report (December 2017) show the proportion of full-time workers in the Island is 75%, with 8,620 employees out of a total working population of 59,950 working part-time and 6,220 on zero-hours contracts. “We expect to see an increase in the number of candidates looking for part time work over the next year as people become more aware of what employers will be obliged to offer, however, we’re not seeing any impact on candidates yet unless someone is in the position where they have young children or are thinking of starting a family."